As the eyes of the world turn to Beijing and its hosting of the 2008 Summer Olympics, China is priming itself for global leadership in everything from politics and military might to technology and pop culture. How will the Chinese cope with such unprecedented exposure to the world beyond their borders? 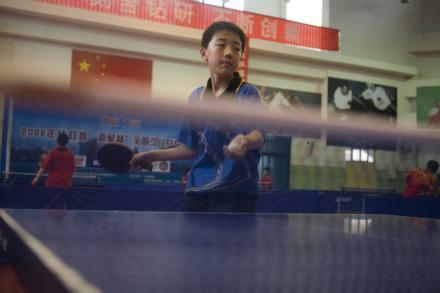 A student at the Beijing Ping Pong Training Base during afternoon practice. The Xian Nongtan Sports Training School attracts children from all corners of China to its campus outside Beijing.